They say everything happens for a reason. And Therese Walsh’s journey to writing commercial women’s fiction is no exception. As a college science major, writing commercial women’s fiction was not at all what Walsh imagined herself doing, but a glitch in her graduate program had an unintended ripple effect that changed everything. The glitch, which caused Therese to shift her focus to general psychological research, resulted in her landing a job as a researcher for Prevention Magazine. Her secret longing to write eventually became a reality when Prevention hired her as a freelance writer, a job that gave her the flexibility to work from home when her daughter was born. The experience of motherhood then inspired her to write stories for her children, a hobby that expanded into writing romance and eventually morphed into commercial women’s fiction. Q: Tell us about yourself. What’s your dream and how are you working towards it? TW: My dream is to truly find myself as a storyteller. I spent many years working on a single story idea – which eventually became the novel The Last Will of Moira Leahy – but now I’m moving beyond it, into unknown territory. I’d like to perfect my method, so that I can progress from story concept to completed work with fewer fits and starts. And I’d like to become a reliable author—someone readers can count on to produce high quality if atypical reads. Q: Describe a “gray” time in your life. How did it stand between you and your dreams? How did you overcome it? TW: The reason I spent as many years on my debut as I did was that I wrote it not once but twice. The first version of the story centered around the relationship between a woman, Maeve Leahy, and the man she’d eventually fall for. In the process of writing that story—“pantsing” my way through it, without an outline—I learned that Maeve had a twin who’d died, and that her past involving that twin had wounded and still haunted her. After a year writing the story and another year editing it, I sent it off to find an agent. And I was rejected. One agent took the time, though, to tell me how touched she was by the story of twins, how that storyline had made her cry at its culmination, and suggested I should be writing women’s fiction. This was a very gray time for me, after spending so much energy on a story that I believed in. Quit on that story? Write something else? Get a job that didn’t involve stringing words together? I was at a crossroads. Truthfully, I tried to move on with an entirely new story concept, but Maeve and Moira Leahy wouldn’t let me go, and the seed of the agent’s suggestion grew strong roots in me. Eventually I just decided to do it – throw out all but a few key scenes in version one of my story and try, try again. Another year later, I had a decent draft, and a year after that, I had a manuscript ready once more to submit to agents. This time, it was right; I felt it in my gut. And I did land an agent, and then a publisher. Q: What fears have you faced as you chase your dreams? TW: My biggest fear was that I was wasting my time as I revamped Last Will. This was, after all, a story that had already been rejected once. Some of those rejections were from agents who feared they wouldn’t know how to sell the book, as it was a cross-genre effort. The second version didn’t make it any less a cross-genre story—it was just more complex. So was I crazy? Those doubting voices nipped and gnawed at me as I wrote version two. Q: What inspires you to keep pushing forward when the going gets tough? TW: Can I say, “My own willful nature?” Because I stubbornly believed in the story concept, the characters, and that I could reach the end-goal if only I tried hard enough and long enough to succeed. How to reach new levels so that you can succeed? That’s a tougher question. But what I know is that there’s always something to learn, always a way to better tell a tale, always a way to reach in and make something resonate with truth. My job is to find those things, and for some reason, I like that challenge. Q: If you could give one piece of advice to someone else who is struggling to move beyond the gray and follow a dream, what would it be? TW: Be open to the idea that your work can be improved upon—sometimes with drastic changes—and continually strive to improve upon your craft. Listen, always, to your gut. And, of course, never, ever quit. 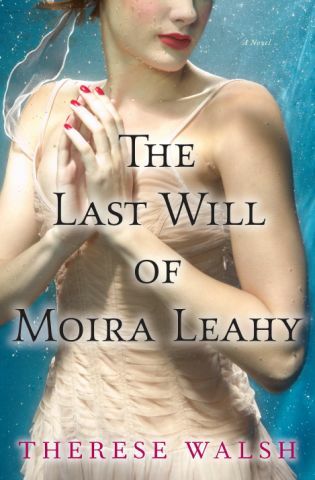 To learn more about Therese Walsh and her debut novel, The Last Will of Moira Leahy, visit her website: http://ThereseWalsh.com. 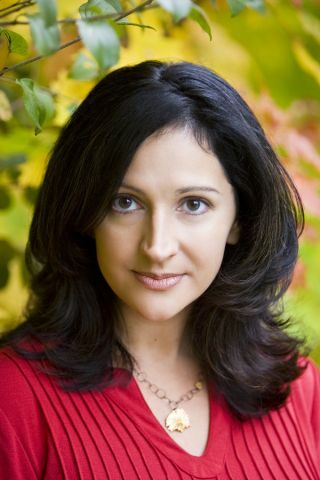 You can also follow her journey at the fabulous blog, Writer Unboxed: http://WriterUnboxed.com. Are you chasing a dream? If so, I’d love to hear from you. E-mail me at Erika (dot) Liodice (at sign) hotmail (dot) com. How truly inspiring, Therese! I had a very, very similar experience with getting my first book published. I wrote and tried to get published for a few years, always coming close but never selling a book. Then when I was four months pregnant with my first daughter, I was dropped by my first agent, then got my final-nail-in-the- coffin rejection on the book I’d been shopping around. It was an incredibly gray moment–I remember sitting at my computer and thinking, This is it, I’m never going to get published, I need to just be content with the upcoming prospect of being a mother; I had my daughter to think about, after all. But at the same time, I did have my daughter to think about, you know? Even though she wasn’t born yet. I had to ask myself what I wanted my daughter to learn from me, to take from the example I set by my own life. That if your goal doesn’t come true easily or right away you just give up on it? Of course not. I appreciate hearing a published author voice her insecurities and self-doubt, but even more so appreciate Therese for showing fledging writers that through persistence and hard work, anything is possible. The LAST WILL is on my must-read list! Thanks so much for your comments, Anna and Bridgid. Anna, I love that Avalon was dream-inspired for you. And I completely agree that having kids makes you push yourself that much harder to succeed. When Last Will was finally published, my two kiddos were so proud. My son said he couldn’t remember a time when I wasn’t writing that book. Crazy! Thanks again for having me, Erika!